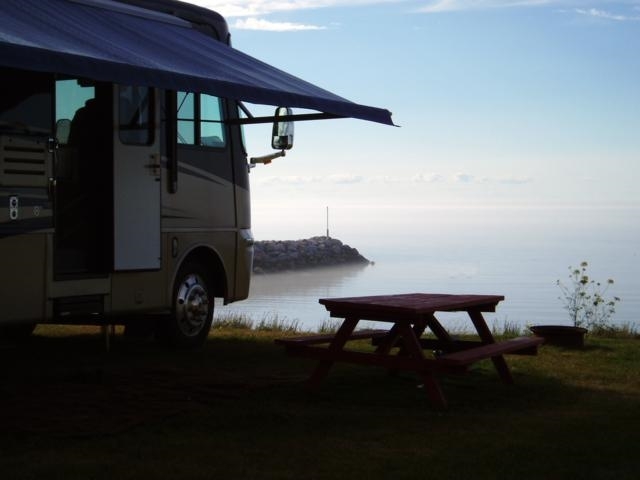 Site #28 is a Premium Waterfront full-service site which faces West over the Bay of Fundy - allowing uninterrupted views of the sun sinking into the ocean. 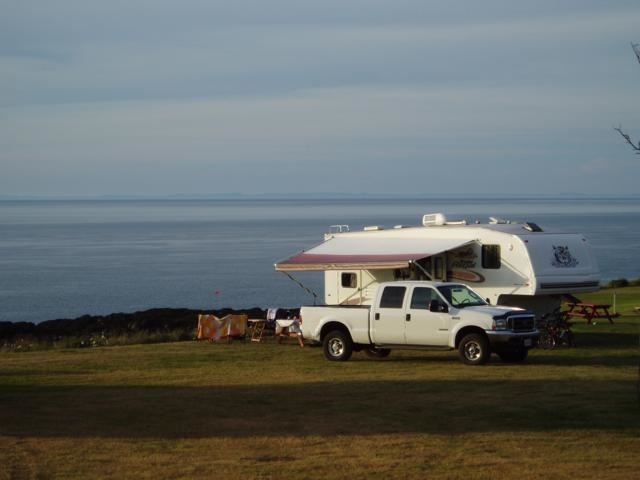 This large, level site will accommodate all vehicles; trailers and 5th wheels will back in, RVs and coaches may drive in - placing the front windows toward the ocean. The site is equipped with certified drinking water, 30 amp power, sewer, picnic table and fire ring.